It can be difficult knowing how to merge different styles without creating chaos and confusion, but tastefully done, an eclectic home is interesting and compelling. This is good news for all of us who have gathered furniture from a variety of places over the years and who now need to figure out how that traditional wingback will look next to a modern couch. 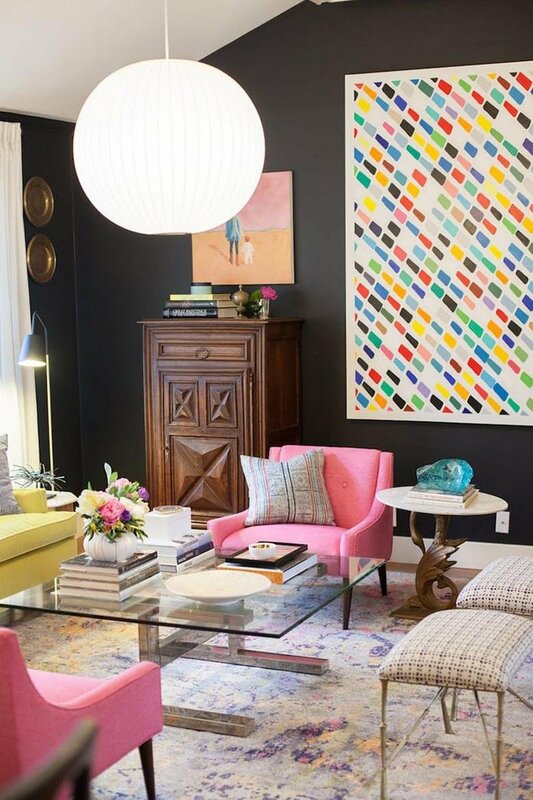 Below are 10 tips for successfully mixing a variety of aesthetics. 1. Embrace what you already have and think of ways to creatively combine different pieces. You may decide to reupholster a chair, paint a table, or buy one or two new pieces, but don’t be afraid to use what you have! 2. Pick your favorite style and have that be the majority of your decor. Other styles can be added and mixed, but committing to one primary aesthetic will look controlled rather than chaotic. 3. Keep the color consistent. This will help your choices look intentional rather than thrown together. 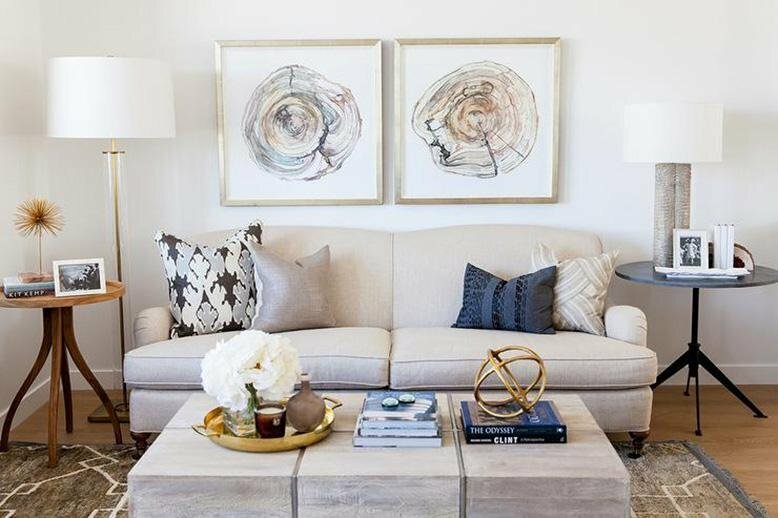 Neutral furniture with pops of color in accessories is always a safe bet. 4. Notice the scale of all your furniture. While the style may not match, the scale needs to. An oversized couch will look funny next to a delicate accent chair. 5. Repeat styles, colors, and shapes throughout your room. 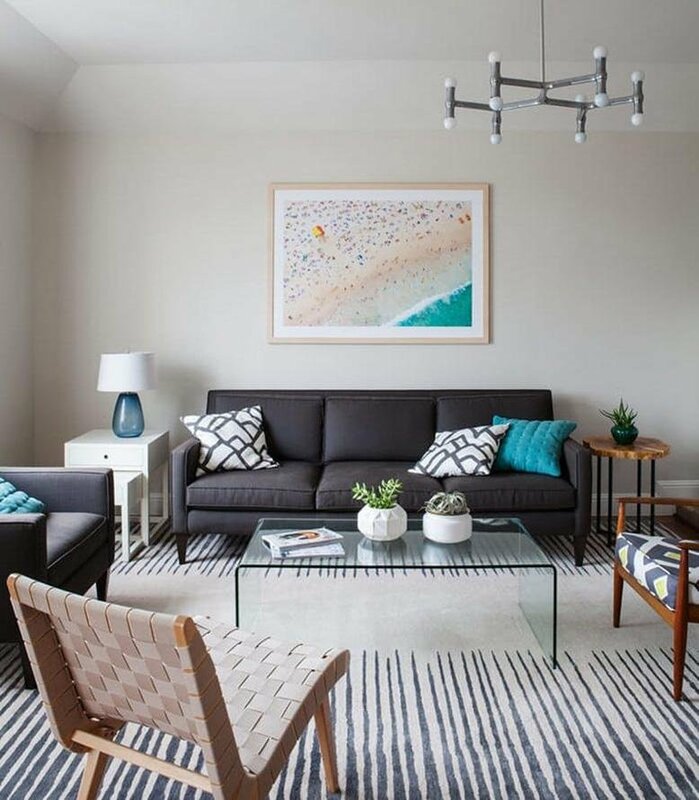 If there is only one piece of mid-century modern furniture in a room, it will stick out like a sore thumb. Make sure there’s at least one other object of the same aesthetic. 6. 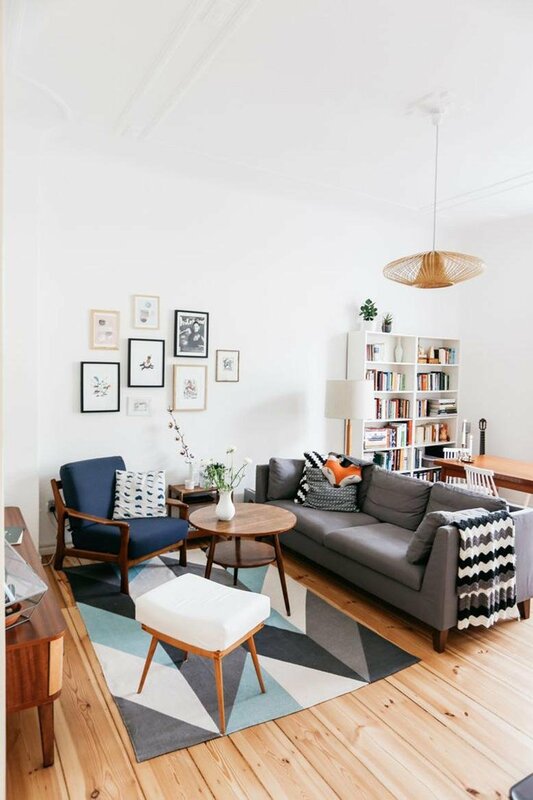 Along those same lines, keep the shapes of your furniture similar regardless of style. 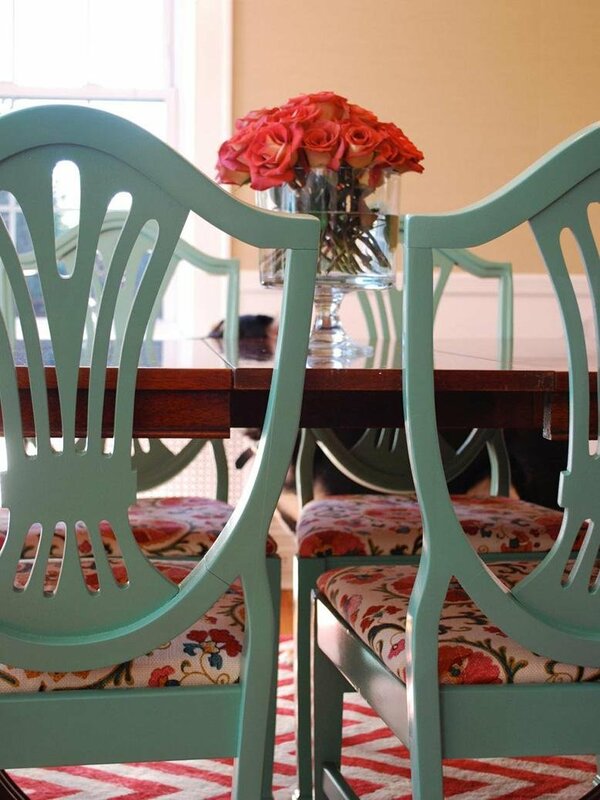 A sleek, straight lined table with curved, traditional chairs will not flow easily. 7. Visual weight is important. If there is a heavy, dark piece of furniture on one side of the room and a simple chair on the other the room will feel off balanced. 8. Determine the mood of the room you are decorating and pick furniture accordingly. Formal chairs in a relaxed family room will not help you achieve the desired outcome. 9. Intersperse styles equally through the room. Be sure one-half of your room isn’t a completely different style from the other half of the room. 10. Edit yourself! Just because you own it doesn’t mean you have to display it. Try new things when you’re decorating your home! Don’t feel limited due to fear of merging styles. Remember that at the end of the day, if you like how your home looks, that’s all that matters. Do you like mixing styles? 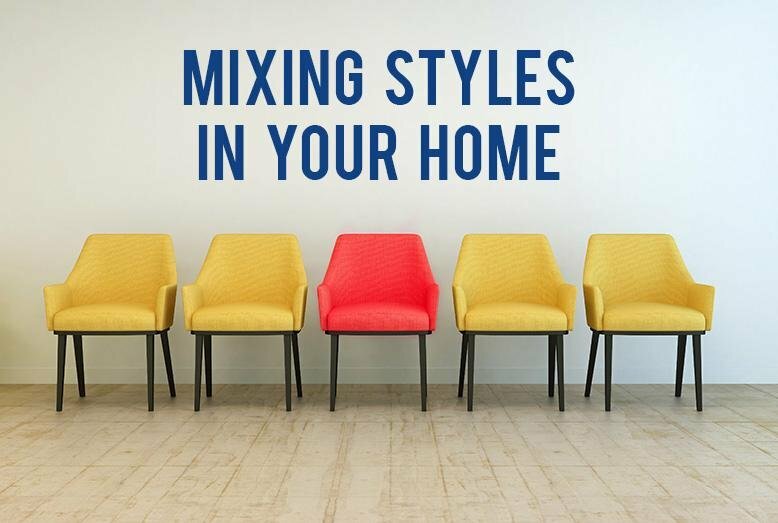 Which styles have you used in your home?